A friend of the family emailed me that she had a friend who wanted to have an unveiling for her father in Los Angeles the following weekend. Could I help? As luck would have it, the unveiling turned out to be on the one Sunday all year that I was flying rather than driving to LA for school; moreover, the request was to meet at Hillside Memorial which is right by LAX. My grandparents, aunts and uncles are all buried there so it was familiar ground. Karen*, who lives in Sacramento, rose at 4 am and drove down to meet me at 10:30 am. She and I had never met but we hit it off right away. It took us 30 minutes to find the grave and the extensive, slightly humorous search allowed us to get to know each other. When we finally found the spot, we saw that the cemetery personnel had set up a semi-circle of five chairs in anticipation of other people attending. Karen’s family is not religious but she was intent on marking the day in a Jewish way. We had planned that her husband and siblings would join us, but when the day arrived, it was just she and I. Her husband was recovering from an illness and her sister and brother-in-law were not able to make the journey. As we settled in, Karen was feeling a bit lonely and so she Facetimed her husband to show him the setting. I could see that she was intent on including him in a meaningful way and I suggested we also Facetime with her sister. Within a few minutes we had her husband on her phone and her sister and brother-in-law on mine. We faced two of the chairs opposite us on the other side of the grave and propped each of phones up on a chair so we could all see one another. Our circle came alive as we began. Karen and her sister told stories about their father, a famed designer and artist. They read poems they had written to honor the moment. We framed our gathering with prayers and readings provided by the cemetery and closed with the Kaddish. 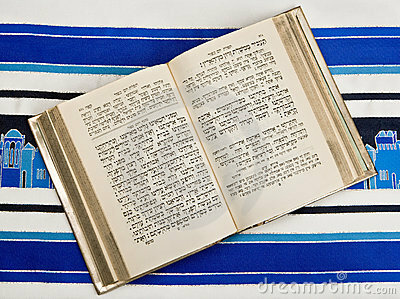 As I recited the Kaddish, my eyes closed, I could hear all of us in recitation together, sharing the moment as one. Our gathering was sacred and profoundly moving. While at first glance, the idea of facilitating an unveiling via IPhone might seem strange, in today’s world, where we are much more mobile and where we often live great distances from where we were raised, this technology made a profound, memorable family gathering possible. When our oldest son moved to Southern California nine years ago, we thought our Friday night family Shabbat dinners would be a rare occurrence. But many Friday nights for the past nine years, at 7:30 pm on the dot, there he is on Skype. Sam leads us in Kiddush, we bless our children as a couple, and my husband leads us in Hamotzi. Frequently my father and stepmom Skype in from Idaho. Our multi-generational observance has strengthened over the years. What matters most is aided by the use of technology; spending time together as a family; living our lives by the rhythms and traditions of the Jewish calendar; and the transmission of Jewish values and heritage from one generation to another. Whether it is Skyping the blessings as a family on Friday night, or coming together for an unveiling via IPhone, I am all for using technology to come together in community when we otherwise would lose the opportunity; to strengthen the bonds of family and friends; and to facilitate Jewish life and the milestone moments in our lives. Join us for our first Shabbat dinner. We don’t know if there will be 4 of us or 40, but we do know Judith Markowitz will lead us in song, there will be beautiful music, delicious food, and great conversation. Plans are to have the dinner at Chez Hyams but, if lots of folks want to join, we’ll shift to someone who has a bigger house in the Dublin/San Ramon area. Email jamiehyams@comcast.net to rsvp and let us know what you will be bringing. Do you have the Prayerbook Blues? Are you lost when you open a prayerbook? Where did these prayers come from? Who wrote them? How did prayer develop? Join me for a 3-session exploration of the history, development and purpose of Jewish prayer. Register by letting me know you will be joining the class.